Extract rom the Club Website "Designed by Jeremy Pern, Dartmouth Golf & Country Club offers 2 exceptional golf courses, both created with sweeping fairways, ample all year round tees, and of course superb greens created from the dramatic surrounding landscape, all built to USGA Championship specification. 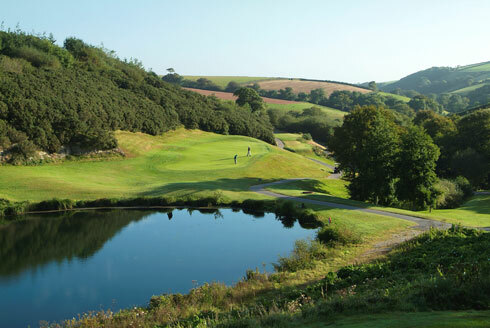 Dartmouth Golf and Country Club is honoured to have been selected by “Golf Monthly” as one of the top 80 golf courses in Great Britain and Ireland, coupled with the outstanding achievement of our Course Manager, who was selected to represent England and Ireland in the finals of the ‘Toro’ Award for Excellence in Green keeping. 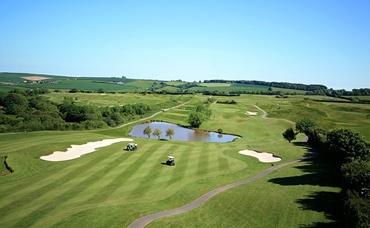 The 7,200 yard, par 72 Championship Course, which has hosted the West Region PGA Championships on no less than 6 occasions, has been designed to challenge the most proficient golfer, with the strategic positioning of tees, meandering streams, 12 water features and undulating greens providing an excellent and enjoyable challenge to golfers of all abilities. 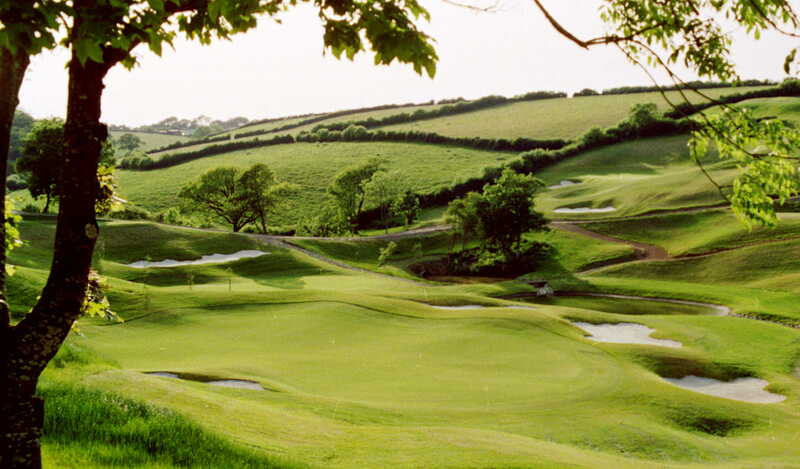 The 2,252 yard, par 33 9 hole Dartmouth Course offers a more relaxing challenge, but nevertheless the course has been built to the exact same standard as its sister course, offering the golfer similar challenges of undulating greens and water features. This course is an absolute must to all golfers wanting to enjoy the true ‘Dartmouth Experience’. 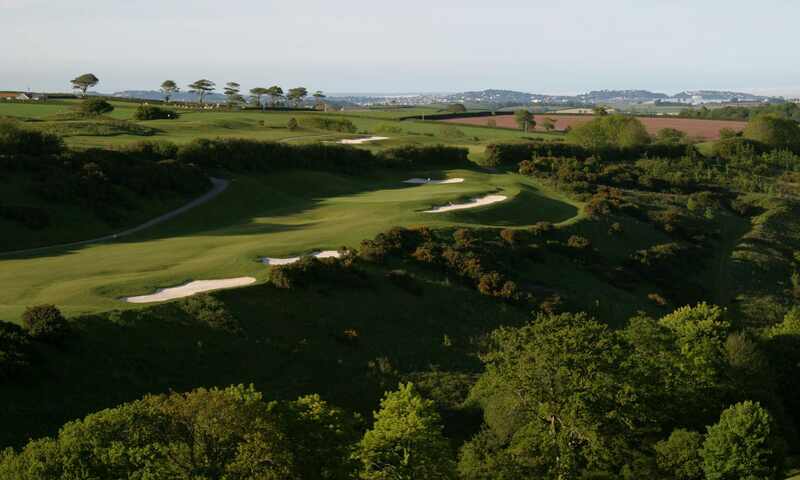 Miss it, then miss out"
A quotation from the Peugeot Golf Guide 2000 when the course was given a 16/20 rating " Designer Jeremy pern has created many very good courses on the continent of Europe but this is probably one of his very best. He has used the land very cleverly indeed, forcing players from the back tees to carry the ball a long way, particularly to clear the thje dozen or so water hazards"